Phase One adds to its premium selection of creative tools with the announcement of the IQ3 100MP Achromatic, the world’s first 101-megapixel achromatic digital back, featuring a new CMOS sensor and a top ISO of 51,200 for luminous black-and-white photography. The medium-format digital back houses a sensor without a Bayer color filter, which allows for the capture of available light unaltered. And, since the IQ3 100MP Achromatic is produced without an infrared cut-off filter, it can capture light outside the visible spectrum. The back’s photographic applications range from fine art, landscapes and portraits to architecture to scientific uses. Additional specs include an electronic shutter, exposures up to 60 minutes, HDMI output, WiFi compatibility, full IQ3 XF Camera System integration, plus compatibility with other camera bodies, a feature that’s standard with all IQ3 digital backs. The IQ3 100MP Achromatic is available now; the digital back can be ordered through Phase One partners, where photographers can also arrange for a demo. Shipping is scheduled to begin in early August 2017. MSRP for the IQ3 100MP Achromatic is set at $49,990 (US). All Phase One XF IQ3 Camera Systems come with the photographer’s choice of a lens from the Schneider-Kreuznach Blue Ring prime lens series, valued up to $6,990 (US). MSRP for the XF IQ3 100MP Achromatic—including XF body and free lens—is set at $54,990 (US). The new achromatic CMOS sensor provides instant Live View feedback, and the sensor’s ability to see IR light allows the Live View to display light that is normally invisible to the naked eye. Capturing in purely black and white means that even at high ISO, the details produced have an analog-like smoothness, similar to film grains on a black and white film. The absence of color makes it possible to stretch the images to the extreme and at the same time retain the pure black and white image quality demanded by the world´s best photographers. 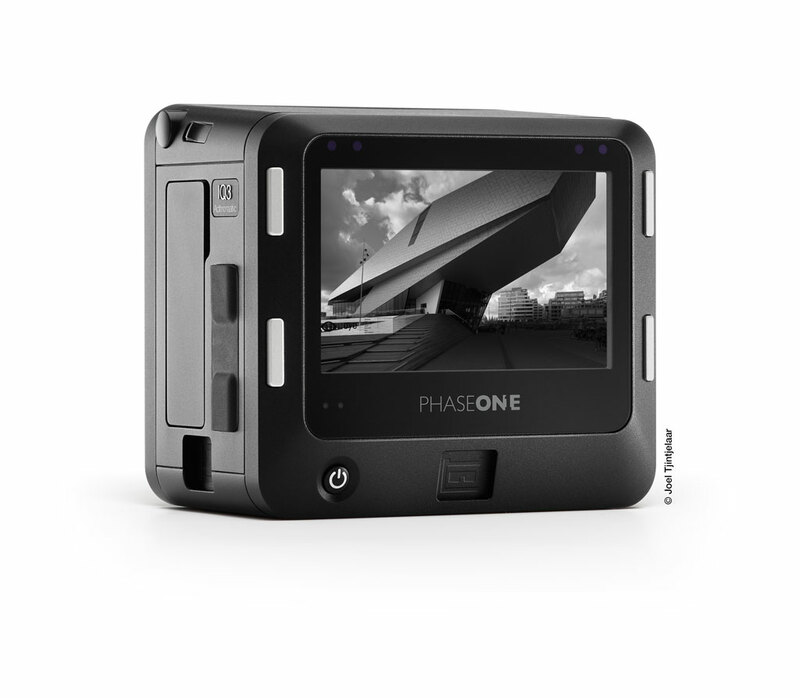 The IQ3 100MP Achromatic Digital Back is available for order now through Phase One Partners: www.phaseone.com/partners. Contact your local Phase One Partner to arrange a demo.